Scotchgard Protector yes please! no thanks! 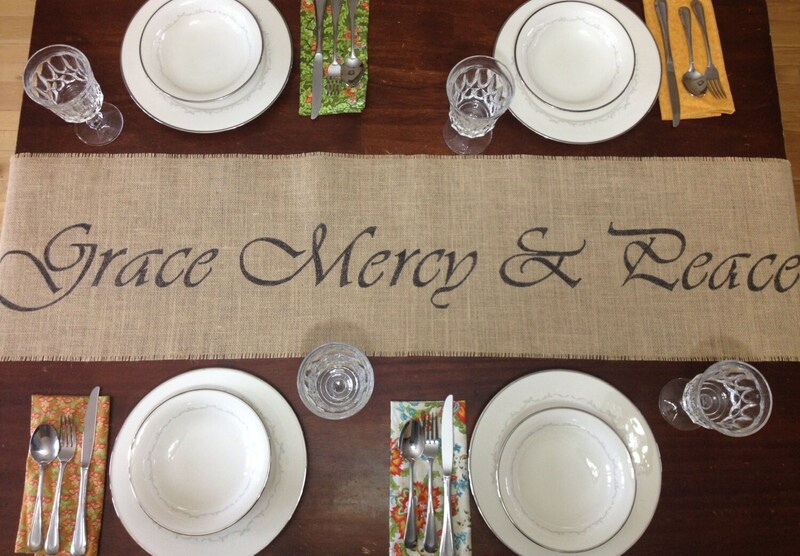 This listing is for a table runner with "Grace Mercy & Peace" in large script. 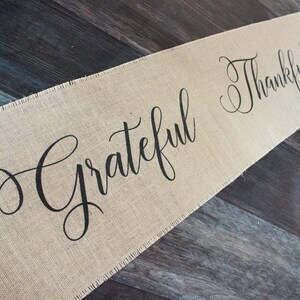 It measures 12" wide by 64" long. 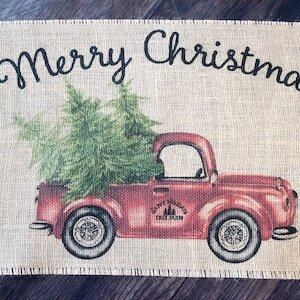 Each piece is personally designed by me and printed directly onto the burlap with specialty textile ink; no paint, no vinyl, no stickers, just burlap. 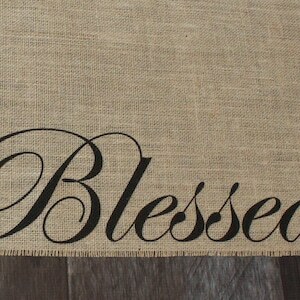 I'm a fabric snob I admit, and not all burlap is created equal. 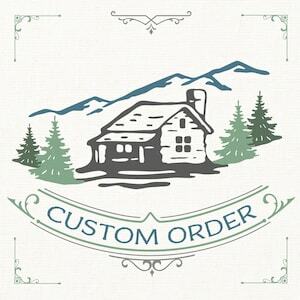 I go the extra distance to give you the very best quality burlap, with a smooth even texture. 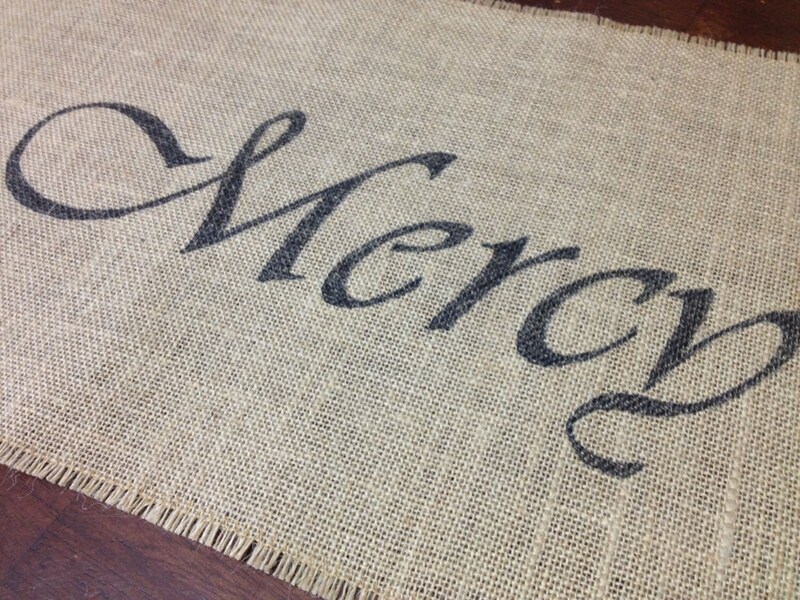 The edges have been sewn to prevent further fraying. Hand wash please!